Back in January, I started to work with a new client who I will call "June." Much like the other pro bono clients whom I have helped obtain asylum in the U.S., June has been through hell and back. There's no doubt that she is traumatized by what she has endured, just as anyone in the world would be. A few months ago, June had to visit Boston for an immigration court hearing. For logistical reasons, and given the fact that June suffers great pain when she sits for long, I offered up my parents' house for June and her small entourage to stay the night before the hearing. Brian and I don't have any extra bedrooms in our house, and since my parents do, they graciously agreed to host three complete strangers without so much as a pause. The night before the hearing, we all gathered for pizza. It was one of the most precious nights of my life--watching a group of people from such (such) different backgrounds come together for some cheese pizza, vanilla cupcakes, and Sprite (all June's choices). The night of the pizza dinner, my parents and I all got home from work early to prepare for our guests. I picked up the food, my mom set the table with place mats and cloth napkins, and my dad turned on music and nice lighting. I was excited, and a bit nervous, to welcome our guests to my parents' beautiful home. Sometime before dinner, I noticed that my mom had placed a small glass ladybug at each person's place setting. My mom likes to collect cute things like that and little (and big) pieces of art decorate the entire house. 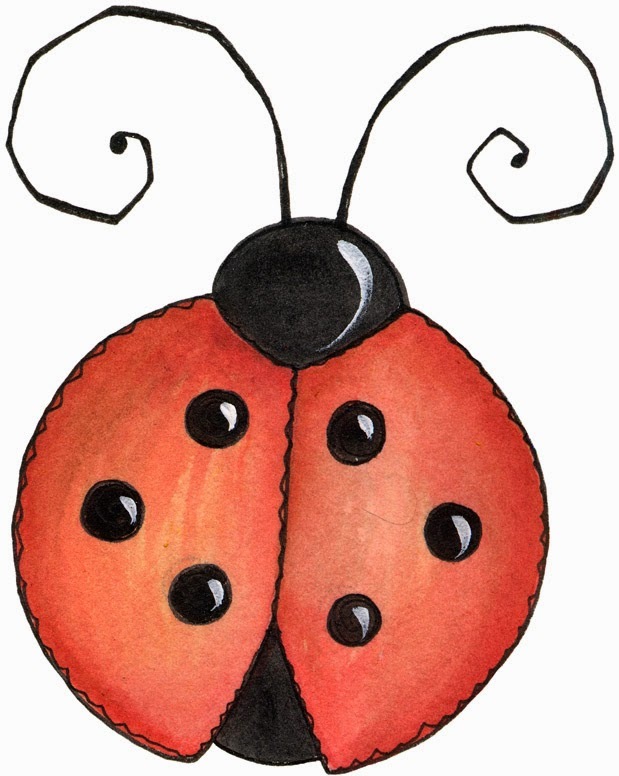 Through June's interpreter, we discussed how the ladybugs would be good luck for the hearing the next day. We ended up needing luck, and for whatever reason (perhaps the ladybugs? ), we got it. A month or so later, I was standing at a cash register at a gift shop. On the counter I spotted a basket of tiny glass ladybugs. Each one was $1. I bought one for June. This past Friday morning, still nauseous from the two hour bus ride that I need to take to reach June every time I see her, I dug around my briefcase for the little mesh bag with the ladybug in it. When I found it, I handed it to June, who looked totally confused and curious as to what I could have brought her. June didn't even open the mesh bag. The moment she saw the tiny ladybug through it, she gasped, put her hand over her mouth, and started to weep. I hadn't anticipated her reaction beyond hoping that she smiled, and this reaction was most certainly not one I had expected. June continued to weep, shaking, and holding the mesh bag up to her heart. I gave her some time and sat, a bit stunned, thinking about what in the world I should say. Finally, I told June she was so kind to be so grateful. Her interpreter told her what I said in her language. She continued to weep and shake and hold the ladybug up against her chest. I tried to make a joke. "Wow! That $1 was the best dollar I have ever spent!" Even before the translation, June laughed. Honestly, it was. A minute later, June tried to collect herself to tell me something. I will never ever forget what she said. As her interpreter translated it for me, I watched June. "It's not how much it cost," she explained, "It's that this shows me that you were thinking of me. It shows me that I'm not alone." "You're not alone," I told her. A few minutes later, we got down to work. Prior to getting cancer, when my clients would cry while recounting their tragic stories, I felt like I should do something to help stop their tears. I wanted to be able to say the right thing or make a joke or distract them so that they wouldn't have to feel all the pain that I saw them feeling. Cancer changed me in this regard. I explained this to June during a prior meeting when she was having a terribly hard time controlling her emotions. She was clearly distraught by the very fact that she was distraught; a whole other layer of pain that I knew she didn't need to endure. I explained to June (who already knew that I had cancer) that our situations were obviously very different, but that it was okay to cry. I told her that I can hold it together pretty well 99.9% of the time, but without fail, every time I see my oncologist, I bawl my eyes out in the exam room. So much fear and pain that I hold in comes pouring out to his person that I have trusted to solve my biggest problem. Not that I mean to compare myself to Dr. Bunnell in this analogy (conceited much? ), but my point was only that sometimes we all have a space where, for whatever reason, stuff that we keep inside just can't stay packed up anymore. I told her my colleague and I were happy to provide one of those spaces. I still hate to see my clients cry, but when they do, I no longer feel like I need to stop their tears. I know I can't take away their pain just like Dr. Bunnell or Dr. Fasciano can't take away mine. So I give them time and space to cry. I listen. And I think about how to help them get through what we need to cover in that meeting with as little discomfort as possible. Still, for all I have written about, reflected on, and bottled up regarding my cancer journey, I never expected that June would help me better understand it by her reaction to the little $1 ladybug. But she did. What June said to me last week made little puzzle pieces in my mind come together. She was so truly right. When I am my most scared about cancer, or anything, for that matter, it's when I feel alone. Last week, on my bus ride back from that meeting with June, I thought about June's reaction to the $1 gift I gave her. I felt awful motion sickness, but I also felt pride. The little glass ladybug had done for someone else what so many others have done for me -- it helped June feel less alone. And for that, I will allow myself a moment to feel infinitely blessed.